This stair lift fit perfectly between the carpet runner on the stairs and the wall trim. Because the stairs ending right in a walkway, the folding rail allows this lift to not take any space at the bottom of the stairs. This home in Colorado Springs needed a clean rail and a minimum of foot supports so that it would look natural. The handrail didn't have to be removed because this lift fits so tight to the wall and the stairs are 42 inches wide. Normally, the handrail would be removed to allow the lift to fit even closer. 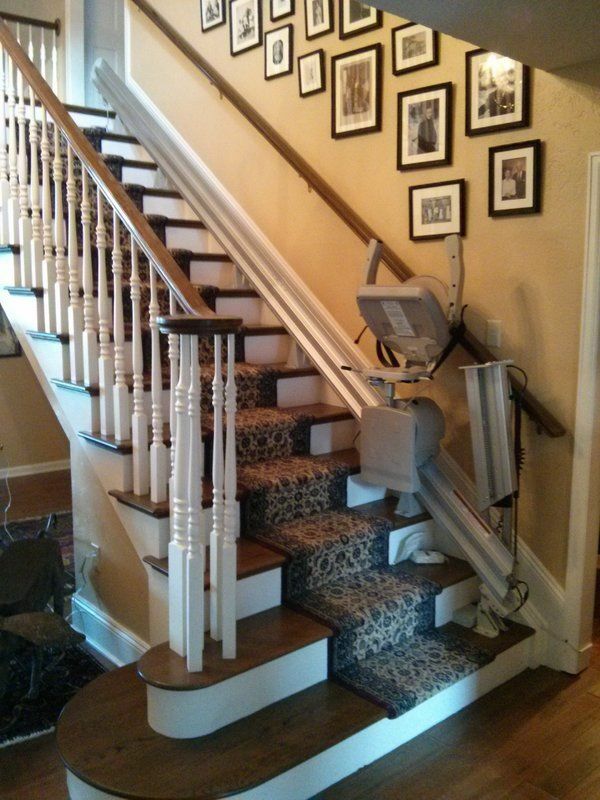 My stair lift looks great and was easy to use. Thanks for giving me my 2nd floor back. I also like the folding rail at the bottom.